Sherry feels the need to express every emotion. Joe can’t help but point out how Sarah could do things better. And, Jenny constantly shares how her husband falls short, both privately and publicly. Each, ask: “Why won’t my spouse talk to me? Though some spouses aren’t as talkative, or as deep-thinking as others, conversations tend to cease when a spouse ceaselessly criticizes. However, even the quietets of spouses tend to share more when they feel honored..
Every day, you honor your boss because of his position. You don’t feel the need to challenge every way he wrongs you. You extend him grace. You only speak about him positively to coworkers and never point out his flaws. You practice believing the best about him, even when it’s unwarranted. If you can extend respect to a man who holds no bearing on your life except employment, how much more should you extend respect to the man you made a vow before me to love until death do you part? 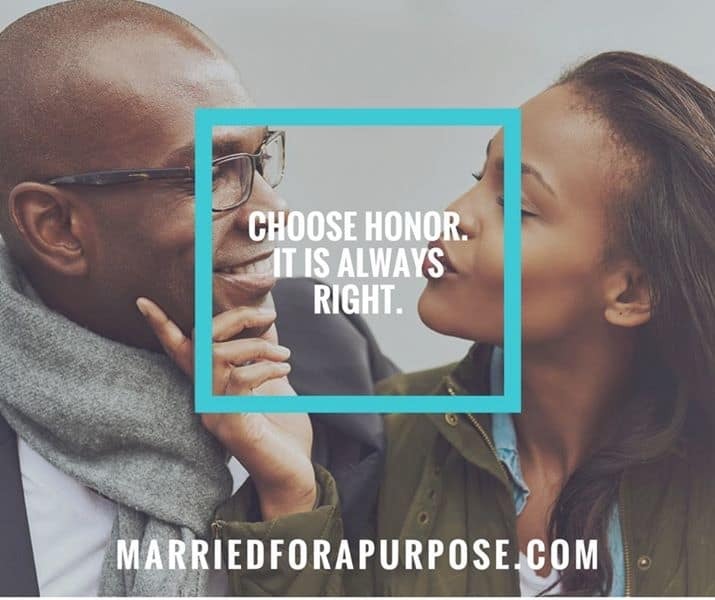 Honor your spouse because Jesus’ deserves it, even if you don’t feel your spouse does. You can’t go wrong by demonstrating respect. Extend love, acceptance and forgiveness in your heart … our words follow our thoughts so make sure yours are in the right place. Instead of pointing out what is lacking, point out what you love about them. Speak positively. Point out their successes and admirable qualities, not their flaws. Don’t express EVERY emotion. Sometimes, it’s good to remain silent instead of retaliating. Finally, begin asking questions about their dreams. And, encourage them to take steps toward living them. Father, help us to be devoted to one another and demonstrate the same love, acceptance and forgiveness that you extend us. In Jesus’ name, amen.